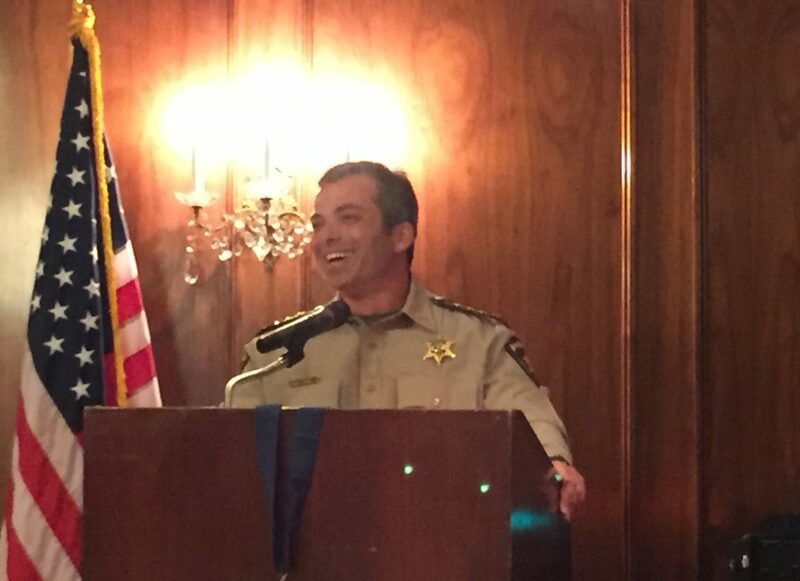 Kiwanis of Lafayette thanks Lafayette Parish Sheriff Mark Garber for speaking to us today. Sheriff Garber is the 27th Sheriff of Lafayette Parish. Sheriff Garber has an extensive law enforcement background, serving in both local and federal law enforcement capacities. Sheriff Garber is also a lawyer who has also served as an assistant district attorney. Elected in the Fall of 2015, Sheriff Garber was sworn in on July 1, 2016. He talked to us about several changes in the department that he has implemented since taking office. One of his first tasks is to take steps to remove the "sanctuary city" label given to the Parish. He also reorganized the command structure of the department to free up additional deputies for patrol without any additional cost to the public. Sheriff Garber remarked that his approach has improved morale in a very short time. Further, he has noticed an increase in highly qualified candidates who are ready to serve the department. His biggest surprise has been the operational conditions of the Acadiana Recovery Center which has been under departmental control prior to his election. Finally, he discussed his improvements to the parish jail and his philosophy concerning litigation of claims involving inmates. Thank you, Sheriff Mark Garber, for visiting with us today.